I know I've mentioned this before, but Normal types tend to not be very good. If I was making a hierarchy of types, Normal would probably be like 13th, ahead of Poison and Bug but behind everyone else. Perhaps one day I'll make that full hierarchy, possibly in pie chart form. Mmm, pie. Anyway, Clefairy is just another of the many Normal types out there. In fact, its one of many PINK normal types out there. And outside of Chansey, none of those pinkies are really worth using. I do like the theory that the shadow of Clefable (Clefairy's evolved form) is actually the Ghost-type Gengar, but that's Clefable, not Clefairy. The more evolved form will gain a couple spots on this list simply because of that little tidbit, even if it's just farcical. As it stands, though, Clefairy is another one of those hard-to-find-but-not-really-worth-it Pokes that seem to frequent the first generation of games. 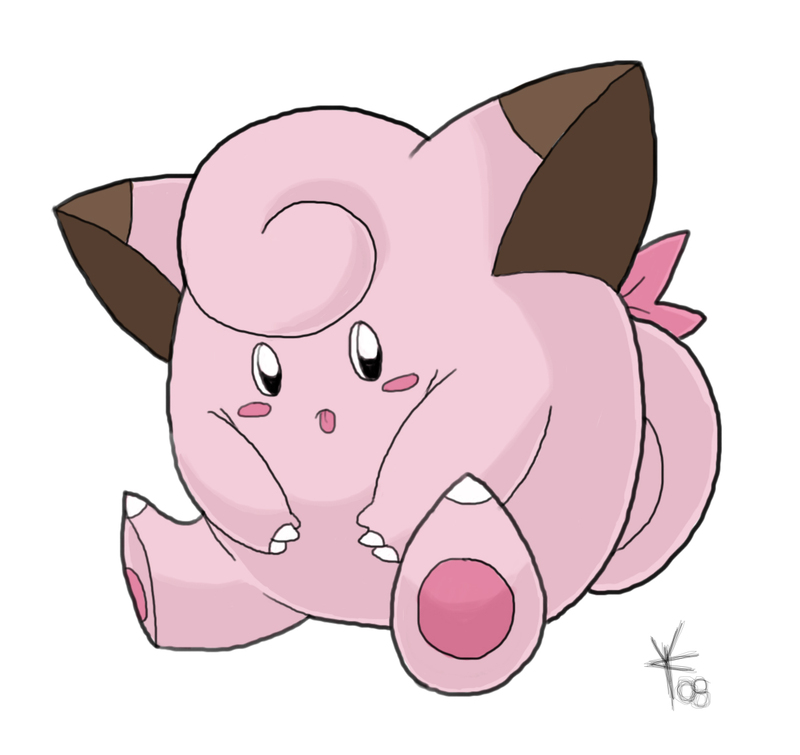 Comparable to Jigglypuff, but with a bit lower HP and a bit higher Special, Clefairy can at least learn some useful moves; that's why it's higher than the Puff Factory. And Clefairy will one day turn into a pretty solid battling machine (as Clefable), but for now, it's wallowing in mediocrity.